American homeowners could have recently had $5.4 billion more in their pockets. However, they don't because they failed to refinance their mortgages when they should have, according to a new study published in the Journal of Financial Economics. 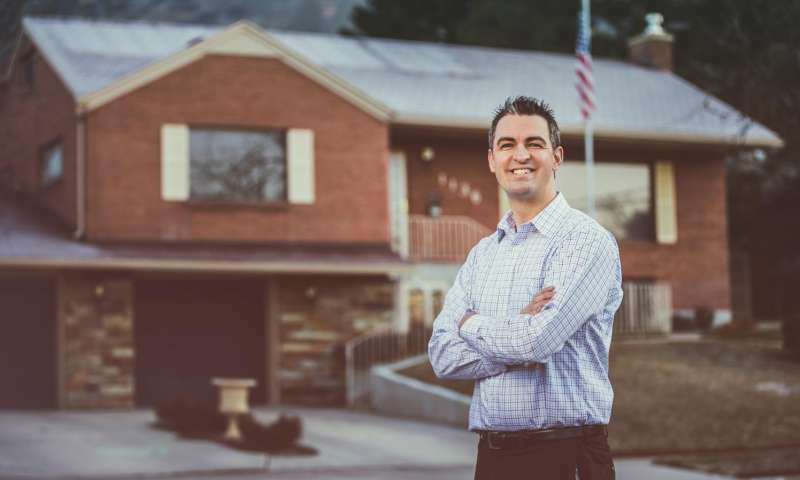 The study, co-authored by BYU economics professor Jaren Pope, found that when interest rates dropped, 20 percent of homeowners who could have benefited from refinancing didn't. In effect, they instead opted to pay thousands of dollars more than necessary over the life of the loan. "There's a potential problem when one out of five homeowners is paying more than they should," Pope said. "Buying a house initially is a big financial decision. But it's also financially a big deal to refinance when it's optimal to do so." The researchers obtained a nationally-representative sample of 1 million mortgages from December 2010. This data set included essential information on the loans, like interest rates and payment history, which allowed them to make reasonable conclusions about which homeowners should and shouldn't refinance and determine that 20 percent of homeowners who should have refinanced in 2010 didn't. Their model also considered other factors that might affect the decision, like the impact of closing costs, uncertainty about future interest rates and likelihood of moving to a new home. Even with these conservative assumptions, the median household stood to save $1,920 per year by refinancing. But the research didn't finish there. Interest rates continued to drop in the following years, so the authors reexamined the same loan data in 2012. They found that at this point, 40 percent of the original 20 percent who chose not to refinance in 2010 still hadn't refinanced two years later. "The question we had to ask at this point was why," Pope stated. "Why aren't people taking advantage of the thousands of dollars they could be saving?" To answer this question, Pope and the researchers teamed up with a nonprofit group in Chicago to offer homeowners the chance to refinance and make the process as easy as possible. So the nonprofit sent three waves of letters to qualifying homeowners, offering a pre-approved refinance with zero up-front costs and help along the way. More than 84 percent of people didn't respond to the letters. Results from a survey of homeowners who received the nonprofit's letters suggested that a quarter of the recipients didn't even open them. For the people who did open the letters, a third intended to move forward and refinance, but never got around to it. "Through the nonprofit, we offered homeowners the best-case scenario for refinancing," Pope said. "But there seems to be a whole host of behaviors like inattention and procrastination that are preventing people from taking the time now, to receive long-term benefits." In the initial study, they found that the homeowners who failed to refinance tended to be less educated and less wealthy—the very people who could benefit most from saving. "It's not that people with less education don't want to or know how to refinance, it just seems that refinancing isn't the top priority when getting by is," Pope said. "If you're lower-income and you're just struggling to make ends meet, you have even less time to pay attention to your mail." Despite the missed savings in 2010 and 2012, homeowners haven't missed their chance to reap the savings benefits of refinancing—rates are still low. "A very simple and conservative approach to deciding when to refinance, would be to go ahead and refinance any time you can get a better interest rate for a 'no cost' refinance where the mortgage lender pays all closing costs," Pope said. "Of course in general, there may be other factors to consider, like the offered interest rate when closing costs are not included and the amount of time left on the existing loan's term that can influence the optimal timing for a refinance. When you learn that interest rates have come down, a couple of phone calls or internet searches may help to determine if a refinance would help put extra money in your pocket each month."